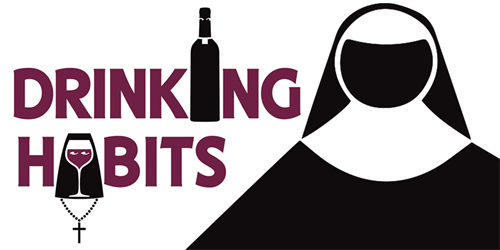 The State Street Theater Company will present Tom Smith’s DRINKING HABITS, a zany comedy with good intentions gone bad, on April 5 and 6 at 7 pm with a matinee performance on April 7 at 2 pm. General admission seating is $ 12.50 in advance or $15 at the door. Sunday matinee Senior Discount admission is $12.50. Theatre After Hours tickets are $10. Tickets are available from February 5 to April 5 at the Chamber of Commerce or online at https://sstc_drinkinghabits.eventbrite.com. State Street Theater is located at 1 North State Street, New Ulm. For more information, call 507-359-9990, email statestreettheater@gmail.com or visit statestreetnewulm.org. Join us for THEATRE AFTER HOURS, an opening night afterglow, on Friday evening April 5 at 9 pm at MonaLena, 225 North Minnesota Street for themed pairings of aperitifs, local wines, and hors d'oeuvres. This is an age 21 and over event. State Street Theater Company’s production of DRINKING HABITS is made possible by the voters of Minnesota through a grant from the Prairie Lakes Regional Arts Council, thanks to a legislative appropriation from the Arts and Cultural Heritage Fund and by special arrangement with Playscripts, Inc.
General admission seating is $ 12.50 in advance or $15 at the door. Sunday matinee Senior Discount admission is $12.50. Theatre After Hours tickets are $10.